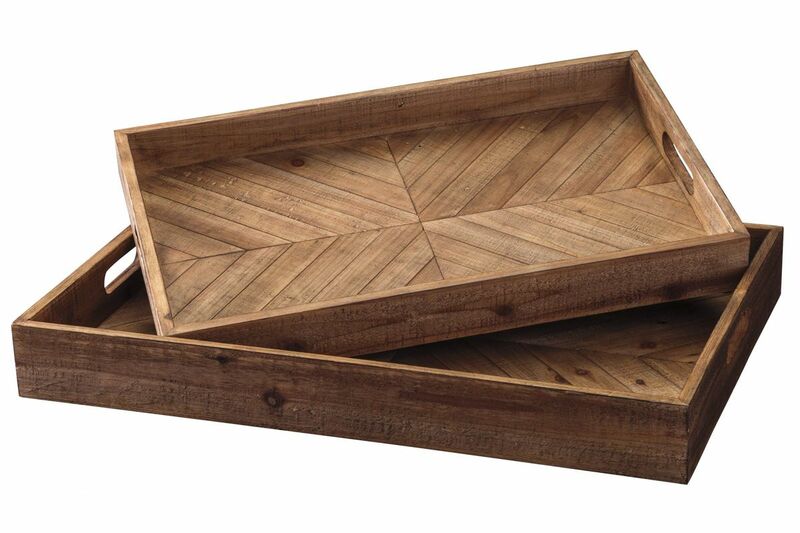 Splendidly farmhouse rustic, these serving trays are full of woody style. Brown color gradation and chevron design bring interest to the interior. Integrated handles make for an easy serving experience.